Fancy playing blackjack, but with an extra golden twist where you can win big? Of course you do, who wouldn’t? Well, to take advantage of this particular giveaway, make sure to stop by Gala Casino and check out their Live Blackjack game where you can win whopping bonuses. Every day you’ll have the chance to claim up to £100 if you are one of 10 lucky Golden Card winners, simply by taking your seat and playing a hand. In order to enter, all you have to do is play Gala Casino’s Live Blackjack game with one of their European Dealers any time between 5pm and 11pm every day. If you are dealt a Golden Card during the game, then you stand to win either £20, £50 or the top prize of £100. Meanwhile, all active players paying on that particular hand will get the £20 bonus each if the dealer is also dealt a Golden Card. Note that this opportunity is available every day of the week for the above set time of six straight hours each evening, so you can keep coming back for more even if you are a winner! So, do you fancy your chances being one of 10 lucky Golden Card bonus winners every day? Gala Casino is the place to be to profit from this unique giveaway! There are, of course, many other online Blackjack games at Galacasino.com – 13 in total to be exact, or 14 if you include Pontoon – and each is available to play either on your home computer or on your smartphone and tablet. 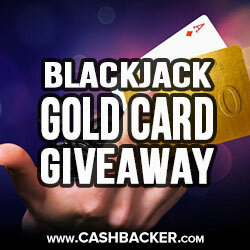 A whole range of games are on offer to you now, but why not familiarise yourself with this particular Golden Cards giveaway at the Live Blackjack tables?